As a part of WordPress customization for clients, we generally follow a simple exercise. We create two admin accounts for the client. One account has all the options to play around with (all the privileges an administrator generally has) and the other account provides access to the options needed for managing the site on the day to day basis, like creating pages, posts, categories, etc while hiding items like plugins, tools, comments, links, etc. This brings us to the quick handy tip — disable admin menus for specific admin users. This will help you replicate the super-admin concept of Joomla and Drupal; only one admin user has all the rights while others have limited access to the admin menu. In the process of removing the menus, you can individually remove top-level menus or remove all the menus at once or remove just the specific submenu items. WordPress offers a built in function remove_menu_page($menu_slug) for removing a top-level admin menu. Use the function remove_submenu_page( $menu_slug, $submenu_slug ) to remove a sub-menu item. You can hide multiple menu items all at once, create an array and pass the name of the menus you want to hide. 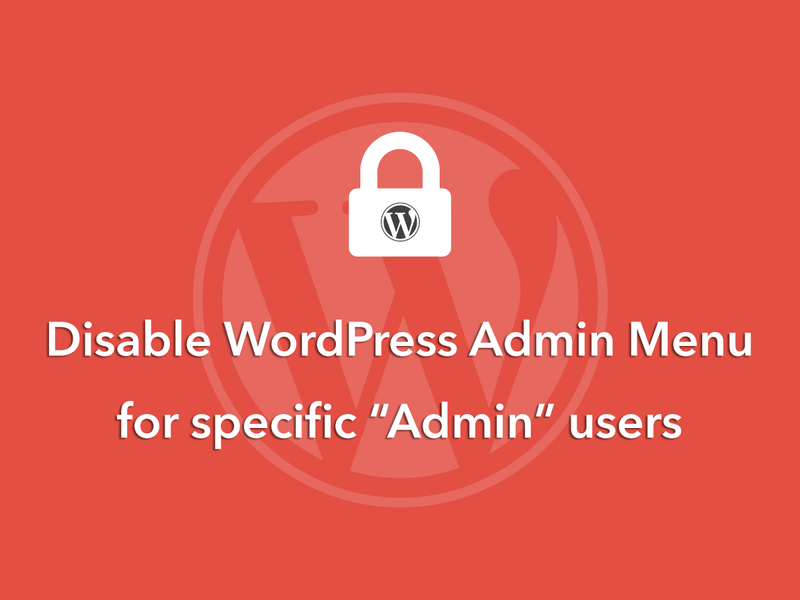 Now that you know the various functions used to remove / hide / disable admin menus, let’s club these code nuggets to implement the super-admin functionality to WordPress. Here we check the current user id and if the user id is other than 1, the default admin, we can hide the required admin menus. Copy and paste the following code in your theme’s functions.php [you can customize the code to remove specific menu items if needed]. Firstly a missing brace to close function remove_menus and once running Call to undefined function remove_submenu_page().